Rev. M’ellen Kennedy of the Unitarian Universalist Church of Atlanta delivers a sermon on the essence of Islam. If her video sermon clip (21 Minutes) resonates with you, then the book “American Muslim Agenda” will appeal to you. Indeed, the essence of Islam is how to live your life in harmony with yourselves and with fellow humans. You will see Islam as the Aalameen (all others) see it. Twelve values of Islam that contribute towards creating cohesive, orderly and just societies her together backed up by at least five verses from the Quran and one hadith. You will also read with clarity the essence and purpose of Islam. Kennedy’s video on Islam and the American Muslim Agenda. Most non-Muslims have gotten the essence of Islam right, and I will be sharing video clips from Jewish, Christian, Hindu, Buddhist and other religious leaders. 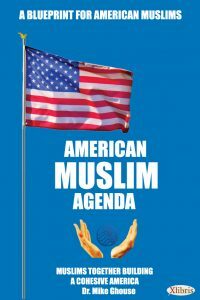 In behalf of Dr. Nakadar, publisher of The Muslim Observer (http://Muslimobserver.com ), who has sponsored several copies of the book “American Muslim Agenda” to be gifted, I will be shipping a copy to Rev. Kennedy in Atlanta. Dr. Nauman Anwar has sponsored the books to the two senators and a few congressmen from Texas. Farooq and Dr. Rehana Kausar have sponsored books to be delivered to members of Congress and a few presidential candidates. Dr. Hussain for elected officials from around Maryland. Dr. Humaira Ali is directly gifting 15 books every month to interfaith leaders. You are invited to spread the word and sponsor the books as well. You can purchase the books directly from Amazon and ship it to the people who need to understand and respect Islam, or ship (Minimum 15 books) to me to be hand delivered to elected leaders in Washington DC. I am walking the halls of the Congress three times a week until I place the book in the hands of every elected official. The book ’American Muslim Agenda’ will be placed in the hands of legislators, presidential candidates, media persons, lobbyists, think tanks, educators, interfaith activists, CEO, and fellow Americans. The book is about building a cohesive America where each one of us can live securely with our faith, race, ethnicity, and culture. No more talking, let’s change how fellow Americans perceive us and build a secure America for each one of the 323 million of us. I cannot be safe if people around me are not; it behooves me to take the initiative. I am available to give a presentation at your place of worship, workplace, your community or your group at your home.